Millions of tourists visit India for searching sacred observation. So if you are also the one, who plan this year a calm religious tour, here below we select the top 10 temples in India which offer you a complete peace of mind, rejuvenating inner spirit and the most astounding views of the sculpture and architecture. 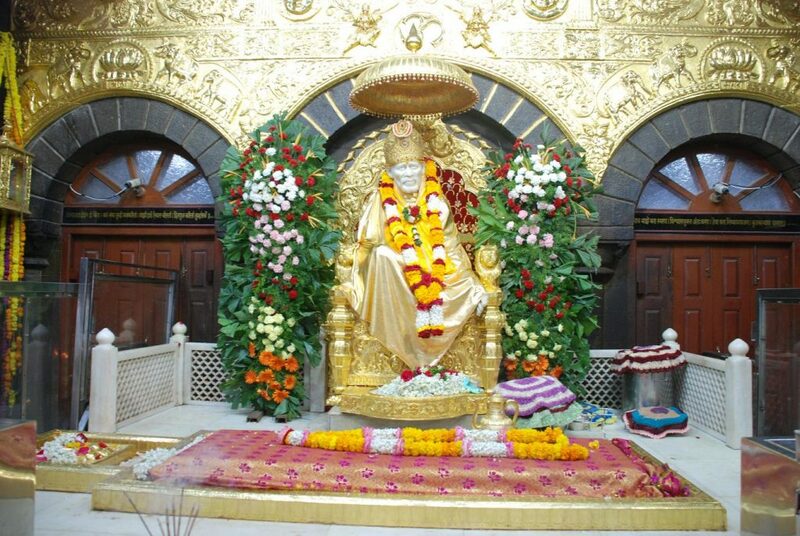 Devoted to Saint Sai Baba, “Shirdi Temple” is the third richest temple in India. The whole religious town Shirdi is identified through Sai Baba. “Sai Baba”, the saint who is known and admired for his miracles and teaching give importance to “Shraddha” means trust and “Saburi” means tender feeling. Millions of admirers, despite of their religion, come to the temple all year-round. The main festivals celebrated here are Ramanavami, Guru Purnimaand Vijayadashmi. Not only in India, Sai Baba’s admirers have extent the “Shirdi Sai Movement” in the ‘Caribbean’ and other foreign countries like ‘United States of America’, ‘Malaysia’, ‘Singapore’, ‘United Arab Emirates’ and ‘Australia’. Tourist can also plan a weekends getaway from Mumbai to Shirdi. 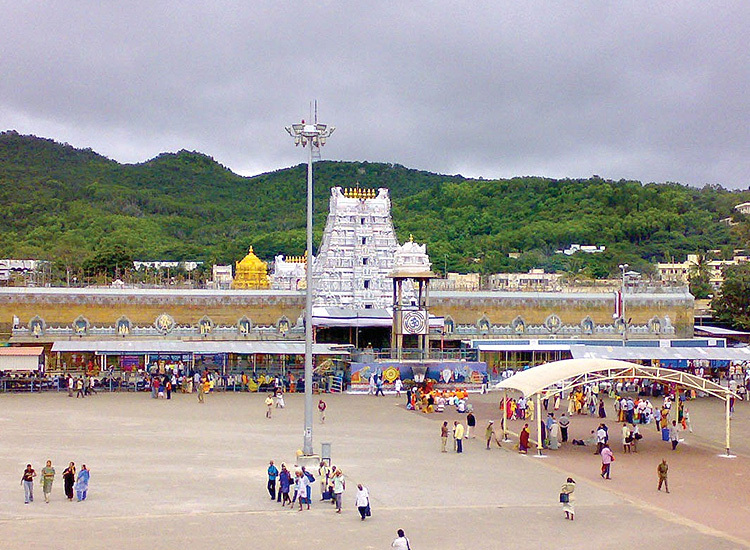 One of the most visited temples in India“Tirumala Venkateswara Temple” is devoted to Lord Venkateswara who is an epitome of Lord Vishnu. Visited by around 50,000 to 1, 00,000 devotees regularly; the temple is popular not only for its religious belief but its Dravidian architecture and inscriptions also allure devotees. The temple wall carry’s many inscriptions and the mark of various empires like the Pallavas, Cholas, Pandyas and Yadavarayas among the rest of the leading empires of those times. Not only this, here in temple premises devotees perform many interesting rituals such as Head Tonsuring, Thulabharam, Arjitha Seva etc. to please the god. The main festivals celebrated here are Vaikuntha Ekadasi, Ramanavami, Janmashtami, Rathasaptami and Vasanthotsavam. The ‘Brahmotsavam’ is the most important festival held every year in the month of September with full zeal and enthusiasm. One of the 12 Jyotirlinga of Lord Shiva “Ramanathaswamy Temple” is also a part of the Char Dham. Ramanathaswamy Temple which is devoted to Lord Shiva is a main temple for both Shaivites and Vaishnavites. According to legends, there are many myths related with the temple. It is believed that, here Lord Rama prayed to Lord Shiva for all sins he may have committed during the war with Ravana. And for this Lord Rama sent Hanuman to bring lingam from the Himalayas. But due to late in return, his wife Sita made a small lingam and this lingam preserved as main deity in the temple. 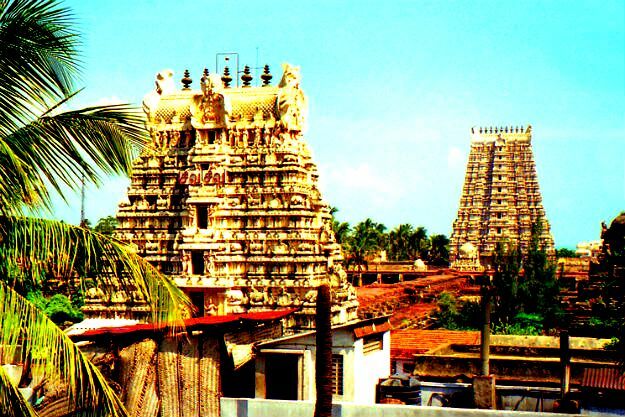 Mainly there are two lingams inside the temple– one small lingam made by Sita known as “Ramalingam” and the other brought by Hanuman known as “Viswalingam”. The main festivals celebrated here are Mahashivratri and Navratri. Two splendid seashore temples “Dwarka” and “Somnath” are really amazing. A part of the Char Dham “Dwarkadhish Temple” is devoted to Lord Krishna. Nestled on the banks of River Gomti, Dwarkadhish temple has 5-storied building which is supported by 72 pillars fascinate tourists all round the world. Mainly the temple has two doors for entry and exit. The entry door is known as “Swarg Dwar” (gateway to heaven) and the exit door is known as “Moksha Dwar” (gateway to salvation). Despite this, there are some features that allure devotees such as a flag fixed on top of the temple shows both sun and the moon (this flag is changed five times a day). Last but not least the neatness of the temple and its surroundings has won it a nomination in the UNESCO list of World Heritage Sites. On the other hand, just 230 km from Dwarka Temple “Somnath Temple” is devoted to lord Shiva. One of the most preferred jyotirlings between the 12 existing jyotirlings of India, Somnathtemple finds remark in many ancient books, like Shivpuran, Skandpuran and Shreemad Bhagvat. 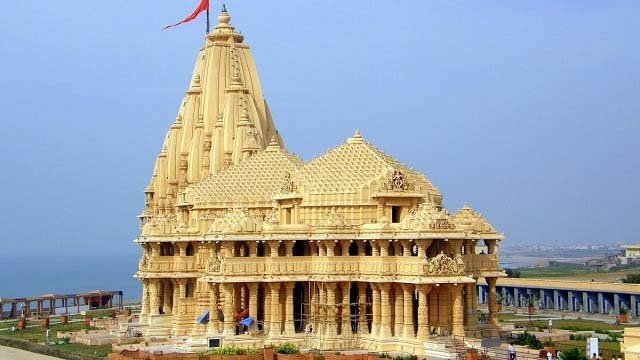 Not only this, many interesting legends are connected with this temple,it’s believed that Som assigns to the ‘Moon God’, thus Somnath means ‘Protector of the Moon God’. Another interesting legend about the temple is that, Som made the temple in the respect of Lord Shiva as it was the god Shiva only who cured his illness (his father-in-law’s curse). Last but not least, the temple also has a Somnath Museum, Junagadh Gate, Beach and Sound and Light show to entertain the devotees. Located at an altitude of 5200 ft. in a mountain known as Trikuta, “Vaishno Devi Temple” is devoted to the goddess Shakti. One of the 51 Shakti Peethas, Vaishno Devi temple has three rock heads, known as Pindies, rather than of a statue. Millions of pilgrims flock here to take the blessings of Maa Vaishno Devi. It’s believed that Maa Vaishno Devi decides and calls her pilgrims to her doorsteps. A successful journey on this temple is possible only because of Maa wish. The temple is open all year round. The main festival celebrated here are Navratri. 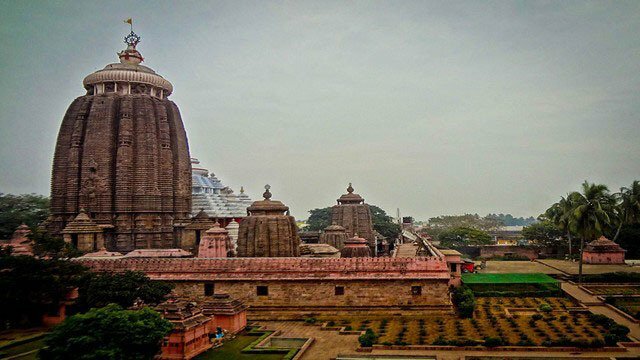 One of the parts of Char Dham “Jagannath Temple” is devoted to Lord Krishna. Inside the main Jagannath Temple, despite lord Krishna idol, you find the idols of Lord Balabhadra (brother) and Goddess Subhadra (sister). The main feature that allures visitors is the idols of the Jagannath temple which are surely different from other temples of the country. With big eyes, different complexions, here idols are made by a special kind of wood called the ‘Daru Brahma’ (found by the main temple preacher once in every 12 years). The main festival celebrated here is the Rath Yatra. On this Rath Yatra, all the idols are taken on a ride on temple chariots that enthralls millions of pilgrims and tourists from all over the country and the world. Note: There are many conditions on entering the temple. Only Hindus of Indian origin are permitted to enter the interiors and other practicing Hindus of foreign nationalities are restricted. Buddhist and Jain groups are allowed inside if they can give proof of their Indian origin. 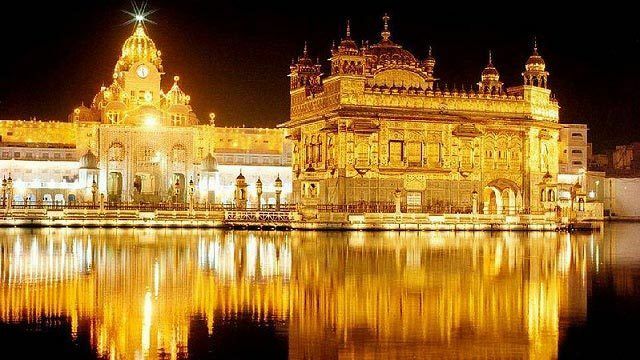 A Pilgrimage tour to Indian temple is incomplete without visiting “Golden Temple”. Sri Harmandir Sahib also called as Darbar Sahib or Golden temple is the most religious place for Sikhs. Its four doors open in four main directions welcome all religion people. Despite these,the temple’s architecture encircled picturesque sarovar and the divine lake that is believed, to reside Amrit or holy water, adds to the fame of the temple building. Last but not least don’t miss the langar where thousands of pilgrims are fed regularly. The main festival celebrated here are Guru Nanak Jayanti and Baisakhi. One of the 12 Jyotirlinga of Lord Shiva “Kashi Vishwanath Temple” is devoted to Lord Shiva. 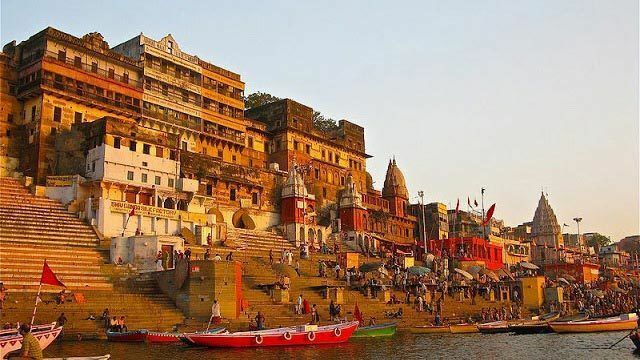 It is believed that by coming Kashi Vishwanath temple and taking a dip in the divine water of Ganga River, devotees will free from all the sins and get moksha (salvation). Some others believe that the blessings taken by coming Kashi Vishwanath and witnessing the jyotirlinga are equal to the blessings got from the darshan of the 11 other jyotirlingas. The main festival celebrated here are Mahashivratri. 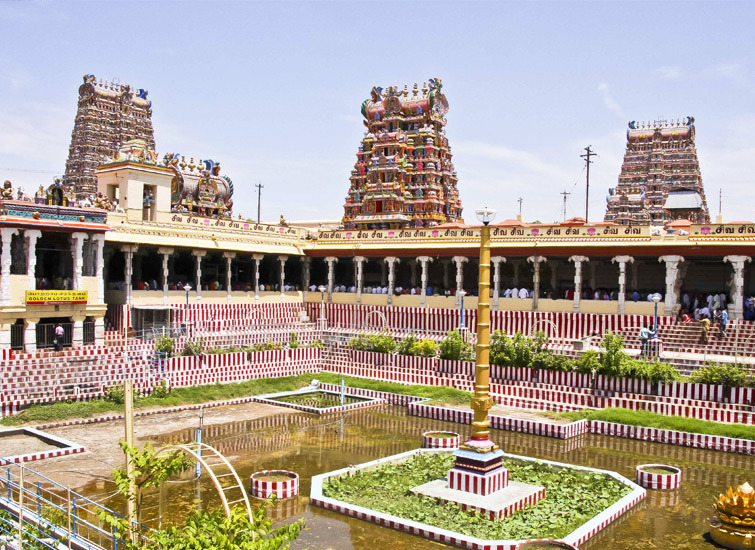 Situated on the bank of the River Vaigai, “Meenakshi Amman Temple” is one of the ancient and largest temples of India. Around 2500 year old temple building is devoted to Meenakshi, an avatar of Goddess Parvati, and her husband Sundareswarar, Lord Shiva. If you think that’s it, so wrong, there are many features that attract pilgrims and tourists from all over the country and the world. Its various minor quadrangular complexes, 14 gopurams or 170 feet (52 meters) high southern tower, outstanding vimanas, hall of 1000 pillars, musical pillars, golden lotus tank and parrot cage are some fascinating highlight of the temple. If you still want more, you can visit the in-house museum that dive you into its 2500 year old history. 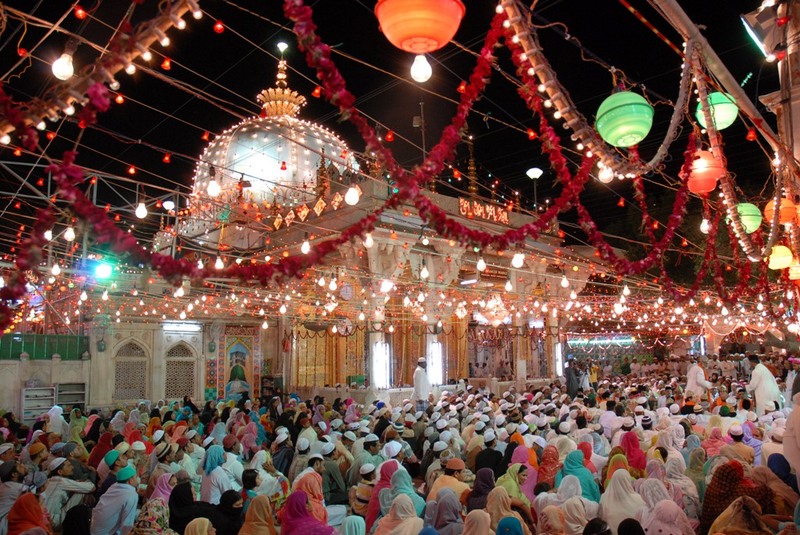 “Dargah Sharif”, the holy place of the saint ‘Moinuddin Chisti’ is the most commonly visited pilgrimage place in Ajmer. Thousands of pilgrims flock here to offer a ‘chadar’ and ‘flower’on Moinuddin Chishti’s tomb for completion of their wishes. It is also believed that all wishes come true by tying a thread at the shrine, and yeah don’t forget to be taken off the thread once the wish comes true. If you think that’s it, so wrong, Dargah exquisite Mughal architecture, wonderful qawwalis and the divine scent of incense sticks all around offer intense peace to pilgrims. The main festival celebrated here is annual Urs, a six-day festival which is held on the honor of the Sufi saint. So after reading about few of the max popular temples of India, I am sure, one thing clears in your mind, that on the religious tour in India, you won’t become the witness of different deities but glorious sculpture, architectural style, traditions, festivals, rituals and customs awaits for you, then without ado, for best Religious Tour Packages and good deal, log on to the website: VisitTNT.com and yeah don’t forget to include all these famous temples.